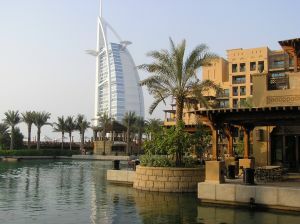 Overprices villas in Dubai, survey suggests. Brokers in the emirate claim that owners of villas in Dubai are asking for overarching prices taking account of the conditions of the current estate market. This leads to fewer enquiries translating into less sales. According to real estate website propertyfinder.ae there has been a 2% increase in searches for villas but a 13% fall in viewing. According to agents, this decline reflects a jump in villa prices in the city’s more established areas, following signs of a tentative recovery in the property market. Because of am increased interest from potential buyers and genuine transactions happening in 2011some sellers priced their property out of the market. Villas in Arabian Ranches dropped from the fourth most popular search for buyers in the third quarter to sixth in the fourth quarter while searches for Jumeirah Lake Towers and Jumeirah Beach Residence increased. The same decline is observed in the interest in renting. Dubai Marina was the most searched area for buyers and renters in the fourth quarter in terms of property views and emails sent while property in the Marina represented nearly 19% of all searches followed by Palm Jumeirah at 10% and Jumeirah Lakes Towers at 7.3%.